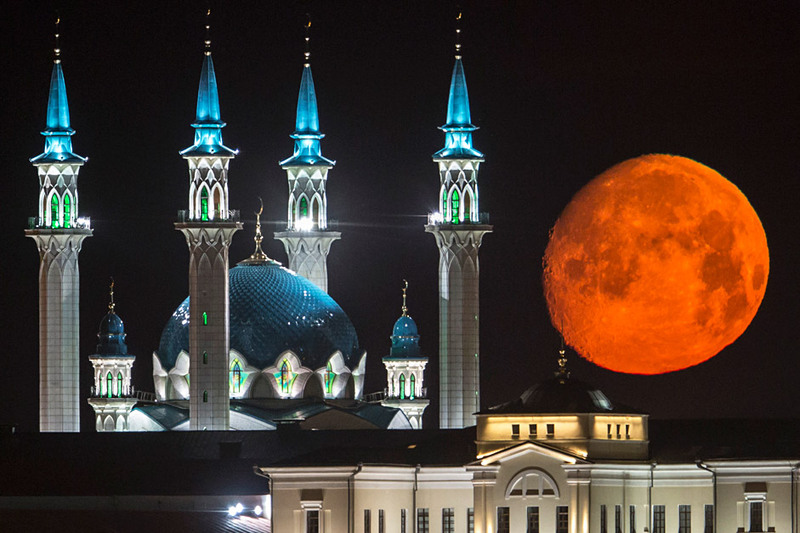 The full moon rises over the illuminated Kazan Kremlin with the Qol Sharif mosque illuminated in Kazan, the capital of Tatarstan, located in Russia's Volga River area about 450 miles east of Moscow, July 29. The Center of Turkish Studies, a joint project of Kazan Federal University and the Yunus Emre Institute in Ankara, has suspended its operations. "The work of the Center of Turkish Studies has been temporarily suspended due to recommendations from the Russian Education Ministry," Kamill Gareyev, head of the press service for Kazan Federal University, told Interfax on Dec. 4. He said this will not hurt students in any way as they will continue their programs at the university. The Kazan Federal University website reports that the Center of Turkish Studies was formed on September 28, 2012 by Kazan Federal University and the Yunus Emre Institute in Ankara. The center familiarized people with Turkish culture, arts and history and organized Turkish language classes.